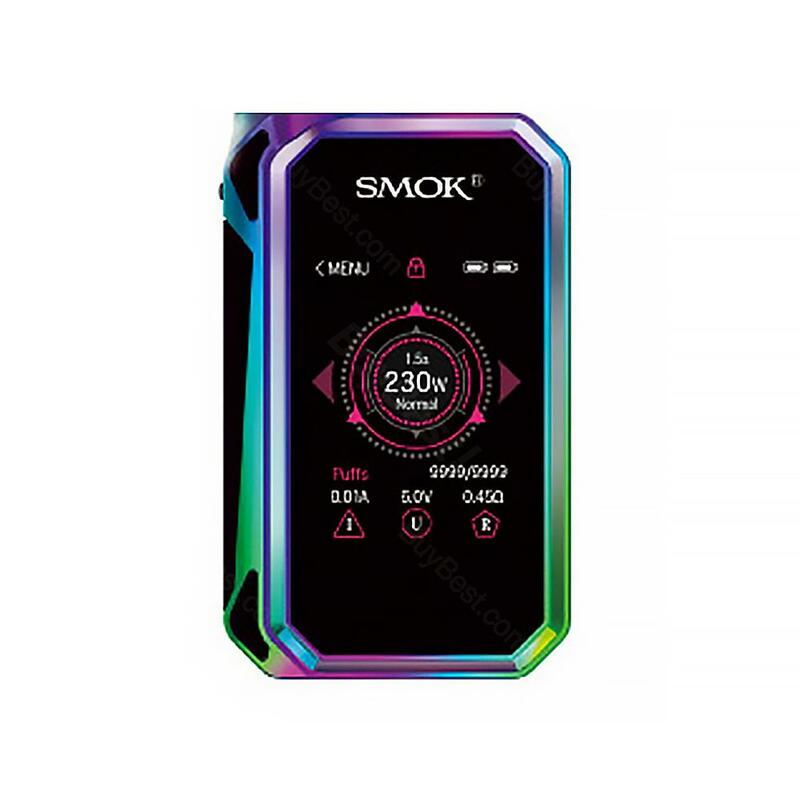 SMOK G-PRIV 2 Luxe Edition is the advanced version of G-priv 2 mod, it adopts highly sensitive 2.0 inch touch screen, which can you high-tech visual effects. It is a high performance device powered by two 18650 batteries with 230w output power, support various VW/TC modes. The upgradable firmware can keep G-PRIV 2 stay up to date. The Deluxe prismatic appearance and ergonomic design has increased the expectations for G-priv 2. Get it for your tfv12 prince tank, It will Bring you unexpected surprise! • Compatible with TFV12 Prince tank. This is my 2nd order from Element Vape & both times shipping was quick & both mods worked perfectly. I loved my first G-Priv but wanted to get the 2 after seeing the improvements on it. The battery pack is much easier to open now because they fixed the notch so you can grip it easier & I like the screen upgrade so you can change the color of it. The touch screen reacts well and I don't have a problem with any of controls on it. I wasn't a fan of the prince tank & decided to stick with my Smok baby beast 2, for some reason the prince was very wobbly & made a plastic rattling sound when I would open it up to refill the tank. Very odd and not what I've experienced with my boyfriend's prince tank. 230W SMOK G-PRIV 2 Touch Screen MOD Luxe Edition is a luxurious exterior upgrade to the cutting-edge G PRIV 2 system, delivering a visually-striking frame and Cobra resin battery cover to pair with the premiere tank in the industry, TFV12 Prince Tank.